Yesterday I finished up my two part class on the Witches Tarot. It was a fun series of classes and very well attended. I have finished my 2014 almanac articles for Llewellyn, and now I am focusing everything on book #15. 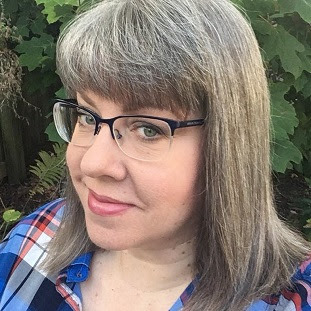 The newest magickal book is due in about 5 months. So I will be working away all fall and winter on the new book. Not sure about a release date- maybe early 2014? Here at home, we have enjoyed a lovely August. No seriously. It was fabulous. It rained on a fairly regular basis- the temperatures cooled off and the gardens sprung back into action. I snagged some pretty annuals- sun tolerant impatiens. They have gorgeous purple-green foliage, and best of all they were on clearance. A few weeks ago I went to work on the front gardens. They needed some freshening up after the drought had toasted everything. The new annuals are blooming away in coral and eye-popping orange. The coleus hung in there and pushed out new growth in the rain, so I tucked in some baby mums (that will eventually bloom in orange) and freshened up the front gardens. Here are a few pictures. Even my clematis sprung out in new foliage with the rain and cooler temperature. I honestly figured it had withered up and died from the drought. Even though I watered it, it just could not stand the extreme heat we had this year. But after a few showers and then the nice, heavy, several days of rain we got from Tropical Storm Isaac, lots of my plants pushed out new growth. So I pinched back my hanging baskets and containers, fertilized them... and about 2 weeks later they exploded in new blossoms. Remember the post I did back this spring about "Window box Witchery"? Well those window boxes hung in there all summer... and here is how they look now. Even my husband is amazed at how well they have done. The verbena is still blooming and it pushed out new growth. The petunias are rejuvenated and even the lobelia is blooming again.The hummingbirds love these flowers and will fly right next to you to get at them. They chatter and squawk, at each other and anyone sitting on the back patio, it's really cute. In a few more weeks when all of the mums start to bloom in the front yard I will post some new pictures of the front gardens. Yesterday we pruned back the oak tree in the front yard. That was a hell of a job. Its a massive tree. Then we tidied up in the gardens, I trimmed back plants and noticed that my Oakleaf hydrangea was teasing me with a hint of it's autumn colors to come. For now I am enjoying the morning glories- they are September's flower after all, and noticing the leaves are starting to change on the trees. Just as they do every September. This time the color we see is from the season- and not drought stress. Hooray! 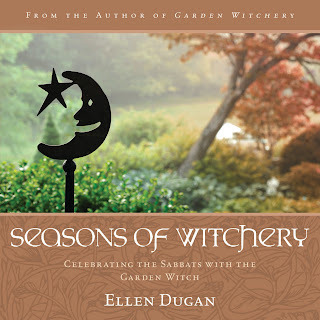 For more information about gardening in the summer and autumn please check out my new book Seasons of Witchery. As the wheel of the year turned I did share my gardening journal in the book along with plenty of seasonal spells to keep you happily conjuring all year long. With all of the hub-bub and excitement of the Tarot deck being released early, I feel like Seasons of Witchery got a little lost in the shuffle. It is a nice chunky book, and has a whole fresh take on the Sabbats and the wheel of the year. This book is personal, and will give you plenty of ideas for your celebrations and how to keep your magick vital and an active part of your life all year long. I hope you will pick up a copy and enjoy it! Here is a direct link to order it on Amazon with a nice sale price to boot! 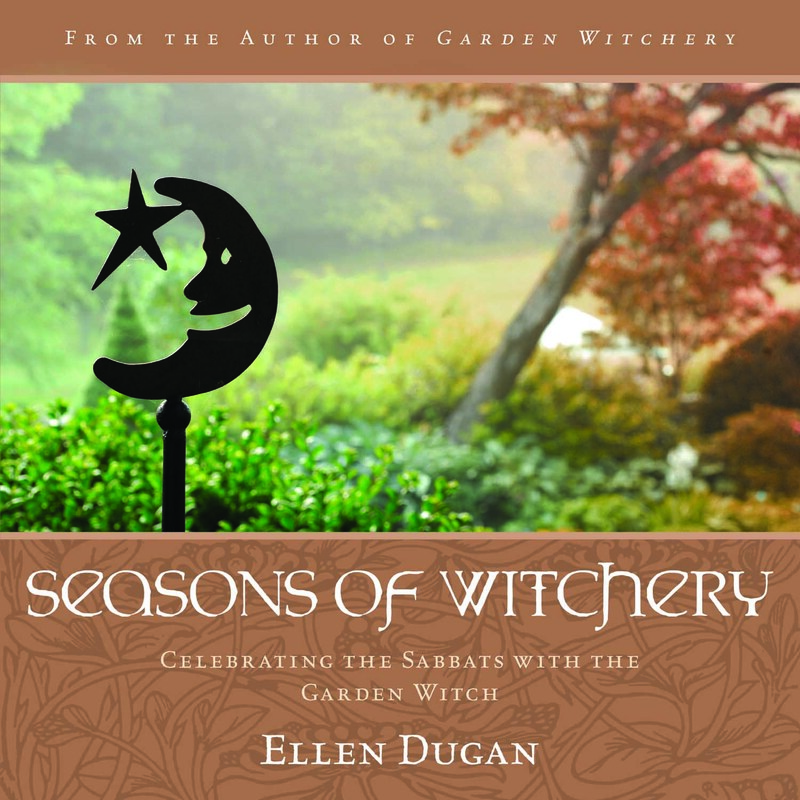 Order Seasons of Witchery on Amazon Enjoy the last week of summer and embrace the autumn as it rolls into your life and magick. PS. Follow me on Pinterest. It's fun and I have lots of magickal and witch-theme boards to look at! Click on the link below to see all the pretties! Oh and yes, you know I have plenty of boards on the Elements, Magickal Gardening, Autumn, Vintage Halloween, Faerie, and Samhain/ Halloween Boards! With the heat and drought of this summer I'm amazed your window boxes did so well. Did you have to give up a kidney to pay the water bill - or do you know a secret or two about how to keep containers moist? I was home all summer and kept the containers watered, still the leaves on several of my plants look so sad - all dry and crackle-ly (I know not a real word, but the plants look nice, except for a few leaves that really 'show' the heat - they look burnt). Love your garden pictures - maybe there is something to this magick business? your pinterest is super fun. i've been enjoying it for weeks. i also can't wait to see your fall garden pictures! they will be stellar, as are all of your garden pics, insights, and information! ciao! I am dying to know what book #15 is about! Any hints? Any?